Holidaymakers in Spain this summer are facing a surprise new airport tax imposed by the Spanish government as it tries to balance its books. Other airlines are deciding whether to absorb the cost themselves. The budget airline Ryanair said Spain’s 2012 budget, passed into law at the end of June, obliged airlines to pay increased taxes. Spain is implementing drastic measures to try to slash its budget deficit to 5.3% from 8.5% in 2011. It has been promised bailout funds of up to 100bn euros for its banks, but wants to avoid a full state bailout. The European travel agents’ association ECTAA said the amount of the extra levy varied depending on which airport people used. It said the average rise in the tax was 18.9%, but at some of the larger airports it would almost double. For instance, at Madrid-Barajas the tax would rise from 6.95 euros to 14.44, while at Barcelona’s El Prat airport it would rise from 6.12 euros to 13.44. Ryanair said it would pass the cost on to passengers, even those who had already paid in full for their flights, because the tax applied “retrospectively to customers who booked flights before 2 July 2012 and are travelling from 1 July onwards”. It said for bookings made on or after 2 July, the increased tax would have been included in the price. The Spanish low-cost airline Vueling is also passing on the cost. It sent emails to passengers giving them seven days to cancel their flight, or the extra payment would be debited automatically from the card they used to book. British Airways and Iberia told the BBC they had not yet decided whether to pass on the cost or absorb it. ECTAA said in a statement it was “dismayed” by the rise, which was imposed “without proper consultation of airport users nor appropriate implementation time”. It said travel agents faced a “technical and financial nightmare to recover the extra charge”. Millions of Ryanair passengers who have booked flights this summer have been warned they could now be charged an extra tax – even though they have already paid in full. The airline has emailed passengers due to fly from Spanish airports to warn them they would have to shoulder the cost of an increase in Spain’s airport fees, proposed in the country’s Budget. “We may be forced to debit passengers for any government-imposed increased in airport charges prior to your travel date,” the email said. 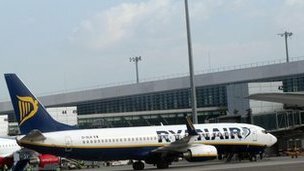 Ryanair said Spain was proposing to double the departure tax on flights out of Madrid and Barcelona airports, and impose smaller increases elsewhere. It is thought the increased levies could lead to passengers being charged an additional £4 to £8 each. However, Ryanair chief executive Michael O’Leary has said that passengers who object to the charge will be able to apply for a refund. Industry experts said airlines were legally entitled to charge customers for such a tax increase but it was a commercial decision whether to do so. British Airways has said it will absorb the cost itself. This article is somewhat confusing, as IATA says there was no departure tax for Spain, and other websites on travel to Spain say there was no tax. In the Netherlands, there was briefly a departure tax, but this was scrapped in July 2009. The tax is expected to raise €60 million in 2011 rising to €90 million in successive years. Further information including when and how the tax will be levied was not supplied. – air passengers pay a Passenger Solidarity tax, (around €5 – 6 ?) which goes to Unitaid, which is an international facility for the purchase of drugs against HIV/AIDS, Malaria and Tuberculosis. It was founded in September2006 on the initiative of Brazil and France, and is to a great part financed by so called innovative development financing mechanisms, namely a solidarity levy on airline tickets. In the follow-up of this conference, a pilot group on innovative financing of 44 countries was established, and France decided to introduce a solidarity tax on airline tickets, which entered into force on 1 July 2006. Finally, on 17 September 2006, UNITAID was founded by Brazil, Chile, France, Norway and the United Kingdom – while not all of them use air ticket taxation to fulfill their commitment to UNITAID. Posted: Friday, July 6th, 2012. Filed in General News, Recent News.